Hotel No13 in central Bergen - book your room today! Music, art and good food completes the experience at Hotel No13. How to best describe No13? Modern, stylish and urban. How to best enjoy No13? 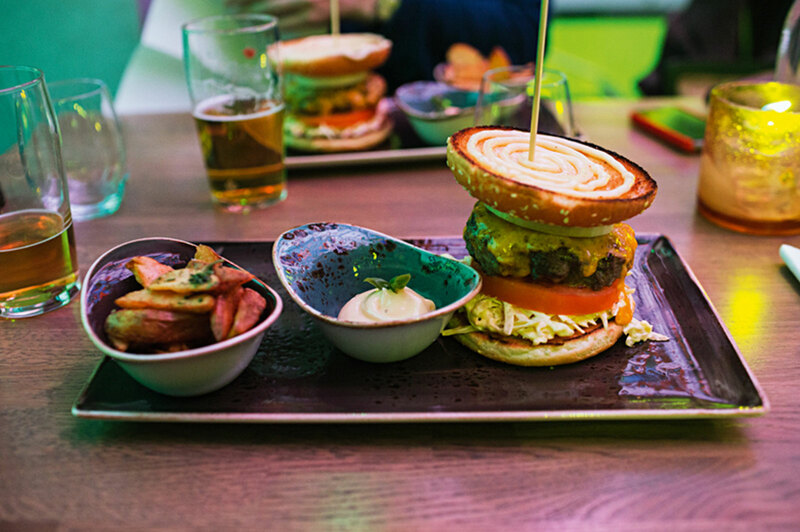 With a juicy burger in a casual and relaxed atmosphere. 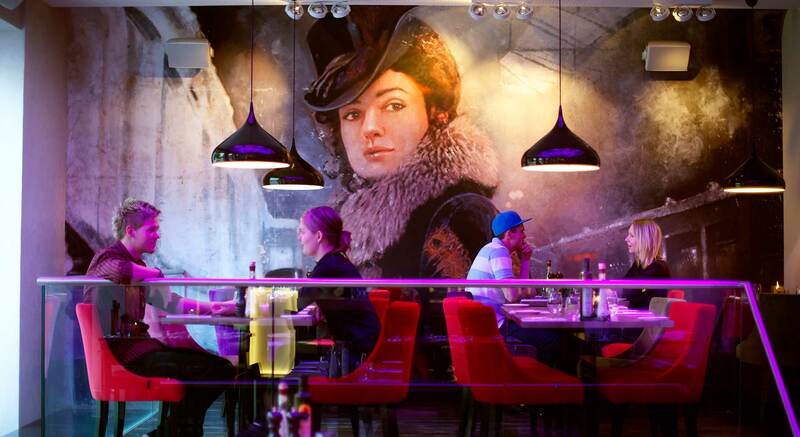 Hotel No 13 is located on the fashionable Torgallmenningen avenue in Bergen, close to shopping centres, restaurants, bars, museums and nightlife. There is also a taxi rank, bus and tram stop by the hotel, and the bustling street life of Fisketorget fish market and Bryggen are just a few minutes’ walk away. 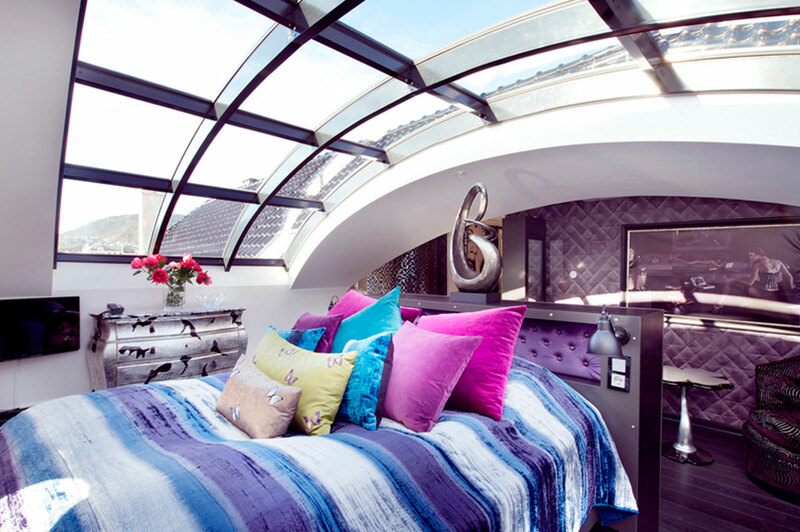 Hotel No 13 is located on the fashionable Torgallmenningen avenue in Bergen, close to shopping centres, restaurants, bars, museums and nightlife. There is also a taxi rank and a bus and tram stop by the hotel, and the bustling street life of Fisketorget fish market and Bryggen are just a few minutes’ walk away. 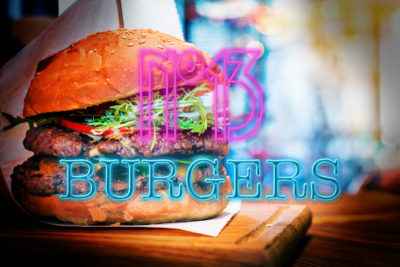 Our newly opened Restaurant No 13 offer a menu full of favourites. 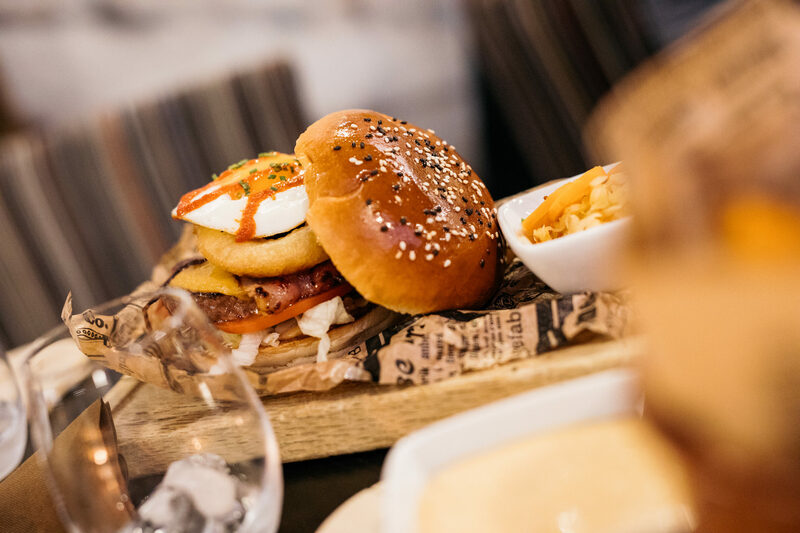 Enjoy one of our fabulous burgers, or mouthwatering, indulgent flatbread pizzas. Choose from toppings such as Sriracha, pickled chilli mayo or truffles & umami mayo. Why not try our pizza variant, flatbread pizza, with truffle salami and mushrooms for example? Maybe you prefer something lighter on a summer’s day? Give our salad with shrimp and avodaco a try. Naturally we also offer sweet tart desserts and home made ice cream. Come on in – treat yourself! My second stay at No 13, and I will definitely stay there again! Small and personal and the best beds and pillows! The personal and kind service from the staff is rare! I have stayed in different rooms and they are unique and cool.